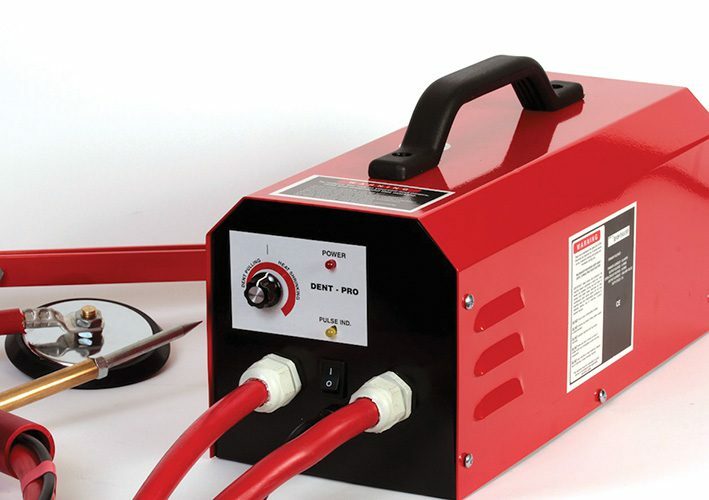 The popular red Dent Pro has been around for more than eight years now and has proven itself as the number one portable dent remover in hundreds of panel shops in South Africa. It is reliable and very cost effective and backed up by excellent customer service. Being 100% South African design and manufacture, spares and service are only a phone call away. We have recently done a major upgrade on the electronics of the unit, which will make it even more reliable and effective. In spite of on-going cost increases in materials and labour, the price has been kept at the same level for two years now.